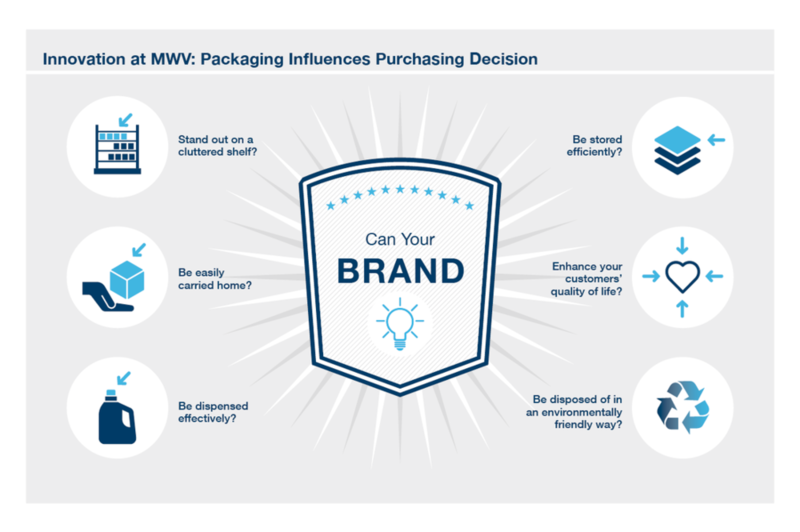 MeadWestvaco (MWV) is a global packaging company that helps shape consumers' experiences with products in food, beverage, beauty and healthcare markets around the world. 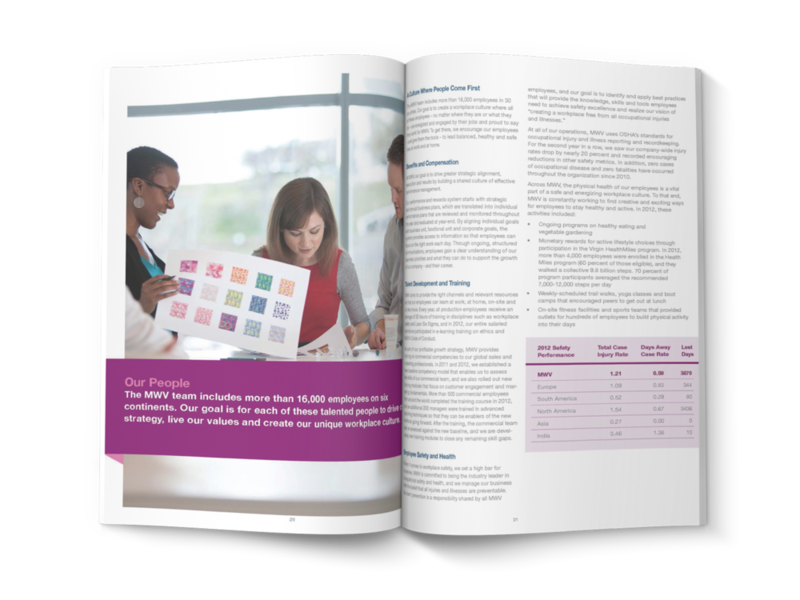 NEO was tasked with re-evaluating MWV's current brand guidelines and then extending their visual palette to support the company’s business goals. 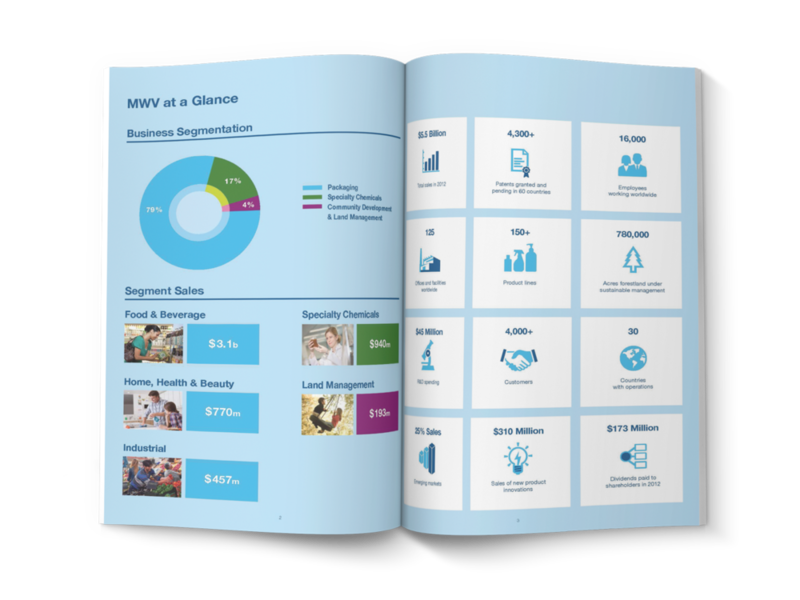 MWV is driven by insights to create breakthrough innovations and solutions. 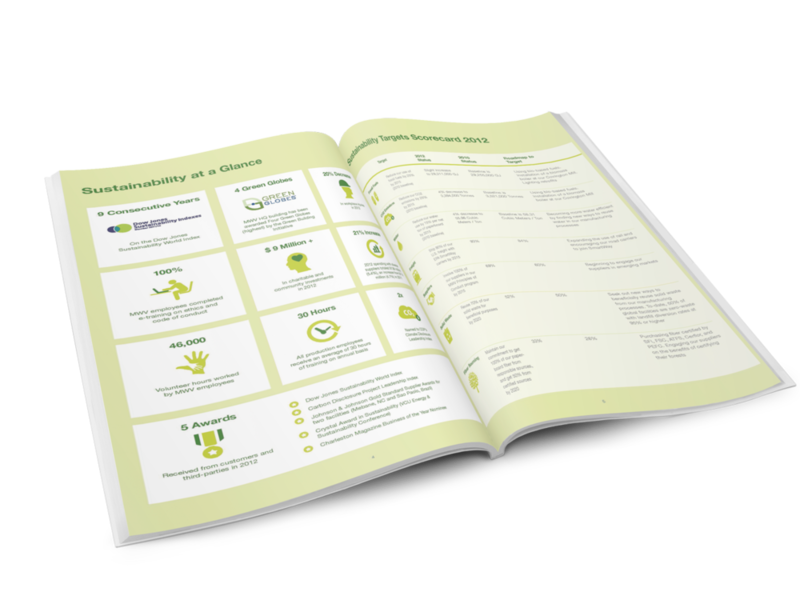 Of key importance is the way they engage with their customers—through infographics that help communicate complex ideas quickly and clearly. 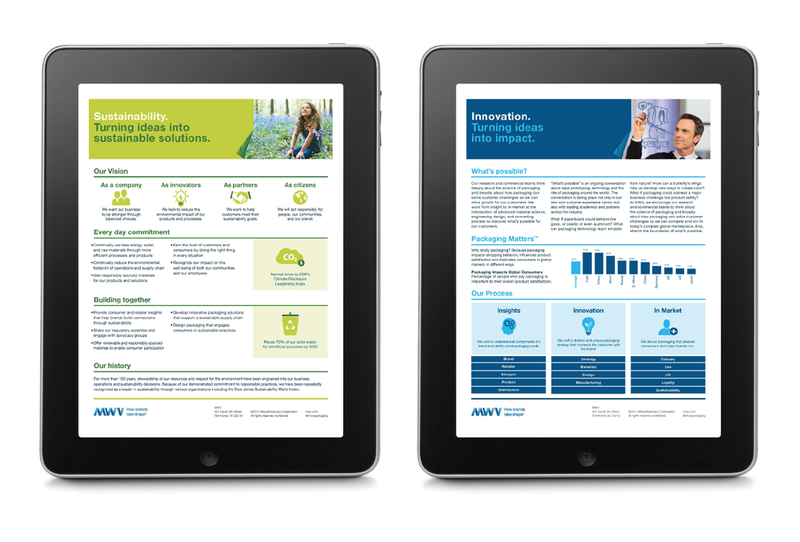 NEO created a new library of icons, charts and diagrams to bring MWV's thinking to life in a way that is engaging and differentiated. A new brand architecture was established that codifies MWV’s product offerings and defines and standardizes how they are identified. 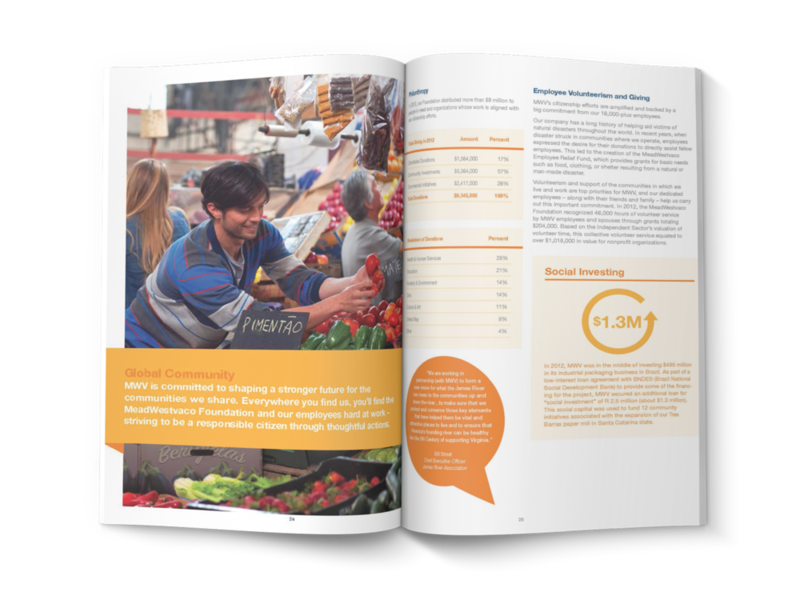 From online and offline Corporate Responsibility Reports to other marketing collateral, the thoughtful integration of infographics as an essential communications tool helps reinforce MWV's story and strengthen their thought leadership position.